Some injuries that workers in Virginia experience are so severe that going to the emergency room, or even receiving treatment for a few weeks or a few months, is not enough to heal them and ensure that they are healthy and harm-free moving forward. Indeed, a worker who is severely injured may need ongoing care for life. When this is the case, lifetime medical benefits through the employer’s workers’ compensation insurance provider may be available. To learn more about lifetime medical benefit under workers’ compensation insurance, call Attorney Jan Hoen of Hampton Injury Law today. What Medical Benefits Are Available Under Workers’ Compensation? Workers’ compensation insurance in Virginia provides no-fault medical benefits to all workers who are injured on the job (and are covered under the workers’ compensation system). Medical benefits include compensation for all necessary and reasonable medical expenses, including hospital stays, surgeries, rehabilitative costs, prescription medications, prosthetics and other medical equipment, and more. Because coverage is for all necessary and reasonable expenses, coverage is not capped. If a worker needs to get medical care for life that is related to their workplace injury, they are entitled to this care, and the workers’ compensation insurance company is responsible for covering these expenses. In order to ensure that you get the medical benefits that you are entitled to, and for as long as you need them, you need to adhere to workers’ compensation rules. This includes notifying your employer of your injury as soon as possible. You must also make sure that your claim is being processed, and that the doctor from whom you are seeking care is an authorized provider. You must also be sure that you are following the doctor’s instructions; if your condition is not progressing because you are not following a prescribed treatment plan, your coverage may be revoked. 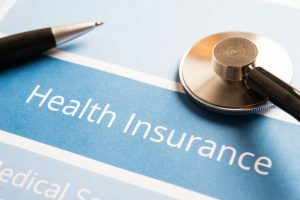 Perhaps most importantly, you must be certain that you receive a workers’ compensation Award Order that explicitly states that lifetime medical benefits are covered. Clearly, if your claim for workers’ compensation is denied, you will not be able to receive lifetime medical benefits. As a note, you will have the burden of proof in proving that the medical care that you are seeking is both necessary and reasonable, and that it is directly related to your workplace injury. A workers’ compensation insurer may not be too eager about handing out an award for lifetime medical benefits; paying an injured workers’ medical benefits for life can be expensive. As such, there may be pushback to your claim, with the insurance company trying to prove that your injury didn’t happen at work, that your care is not authorized, or that you have contributed to the worsening of your injury /delay in progression. At the office of Hampton Injury Law, our workers’ compensation attorney wants to make sure that you get the compensation you deserve. To learn more about how to prove that you deserve lifetime medical benefits and get other workers’ compensation benefits you deserve, call us today or send us a message. Attorney Jan Hoen will work hard for you.